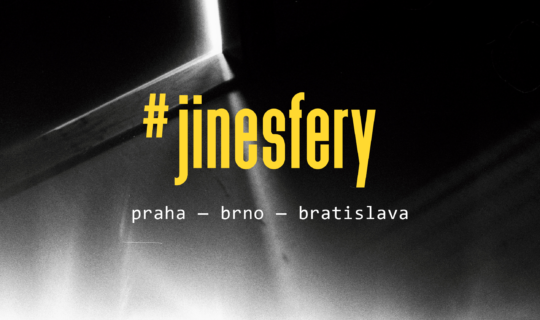 (j)ine sfery [transl. 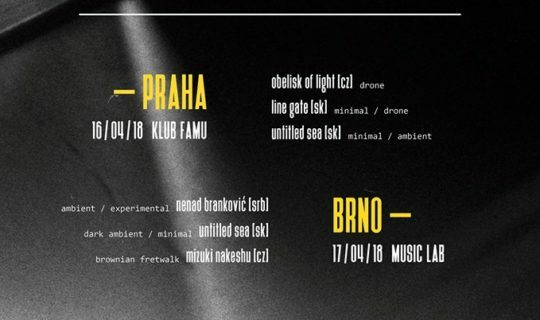 “other spheres”] are a series of concert evenings, which aim to present performances of Czech and Slovak artists and producers —— involved in the creation of new music and/or sounds: from silent, slow ambient to atmospheric, noisy drone. The project aims to map this specific artistic scene within the Czech Republic and Slovakia, as well as to create a certain “network label”, ie. 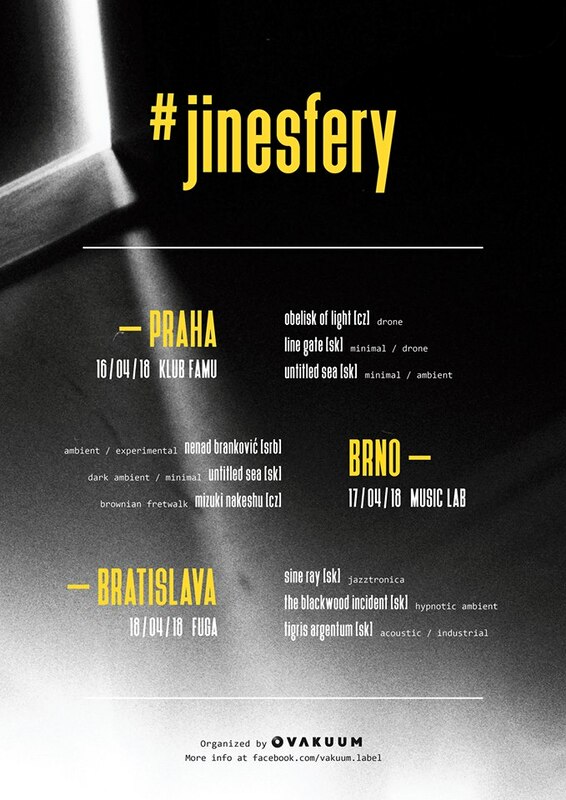 to deepen communication and connection between artists and producers who are represented by (j)ine sfery. 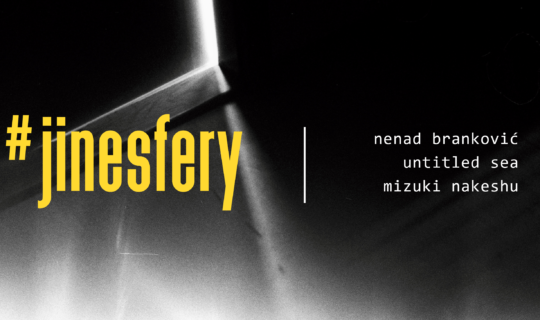 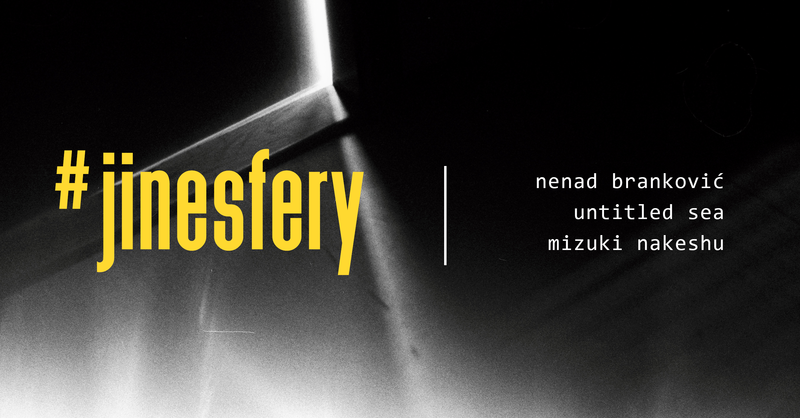 It is our pleasure to announce this “spring edition” of (j)ine sfery that will take place in the cities of Prague — Brno — Bratislava, on 16-18 April 2018.